Singapore Housing and Development Board (HDB), or public housing, flats in Bugis neighborhood slated for demolition; taken September 2018. Concerns over the Housing and Development Board, or HDB, public housing flats’ 99-year lease period are set to widen the pricing premium for private housing and ultimately help support developers in Singapore, Credit Suisse said in a note last week. That’s amid an increasing public focus on HDB lease expiration as many projects head toward the twilight years of their allotted 99-year lifespan with very few selected for redevelopment before they are expected to be handed back to government control at lease end. “We believe the willingness of buyers to transact in the HDB resale market is likely to be diminished going forward. Ultimately, the future resale values of HDB flats are set by market participants, with HDB pricing new HDB flats at a 20-30 percent discount to market,” Credit Suisse said. An estimated 16,000 new HDB units were also expected to be launched this year, with fresh 99-year leases, it noted, making that more attractive compared with buying a resale flat. It also pointed to signs of difficult HDB resale interest, noting that in the first half of 2018, HDB resale volumes fell 1.3 percent on-year to 10,399 units, while private resale volumes jumped 41.2 percent on-year to 8,567 units. “An environment of lower resale market liquidity, coupled with a greater pool of potential sellers than buyers given the ageing stock could mean persistent downside pressure to HDB resale prices, in addition to the natural depreciation of remaining HDB lease tenures,” it added. Potential negative HDB feedback loop? All of those concerns are likely to widen the premium of private to HDB prices and support private residential sales volumes as residents who might have otherwise purchased an HDB resale instead turn to the private market, the note said. Credit Suisse also said it expected the percentage of resident households living in private property to continue to rise, noting that it has already gone from 88 percent of resident household dwellings in 2000 to 79 percent in 2017. 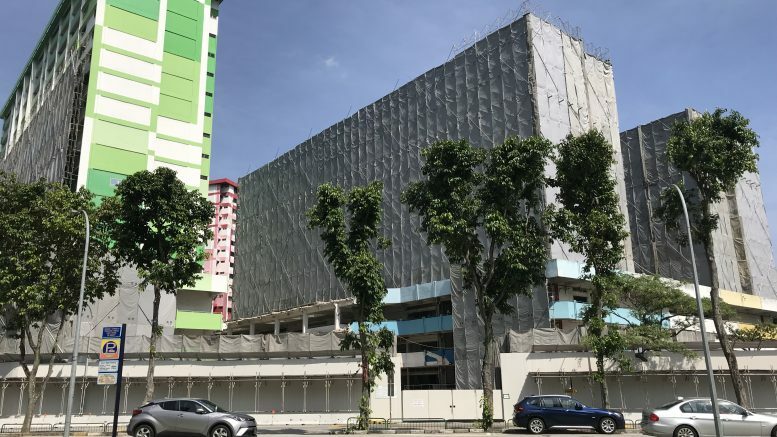 While HDB owners have no choice but to surrender the flat at lease expiry, owners of private leasehold properties have the option of collective, or en bloc, sales throughout the lease term, which allows developers to buy a property for redevelopment after paying to extend the lease, it noted. “While the recent cooling measures are likely to temper sentiment and private residential prices in the near term, we expect the trend towards private residential, especially new, freehold projects to be supportive of developers in the longer term,” Credit Suisse said. With Hungry Ghost month, which is a traditionally weak residential-sales period, ending earlier in September, developers are likely to accelerate their new launches of potentially around 6,000 new units, Credit Suisse said. It projected that prices would remain steady in the second half of the year, despite the cooling measures, and estimated an overall price increase of 9-10 percent for 2018. It estimated underlying demand would drive the vacancy rate down to 6.5 percent and noted that 78 percent of the first quarter’s new housing loans were for owner-occupied properties. Credit Suisse tipped UOL as its preferred developer pick, citing a “wide margin of safety” for its residential developments, attractive valuations at a 47 percent discount to RNAV, or revalued net asset value, and the potential for it to delist UIC. It rated the stock at Outperform with a S$9.80 target price. It set City Developments’ target price at S$9.90 and CapitaLand’s at S$3.75, rating both at Neutral. It rated Frasers Property at Outperform with a S$2.20 target.